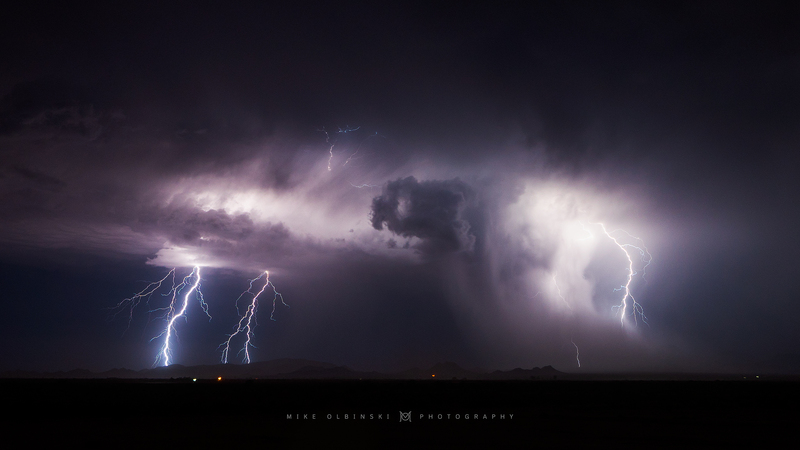 Being a storm-chasing photographer in Arizona, Mike Olbinski has become accustomed to not having everything happen the way he had planned. 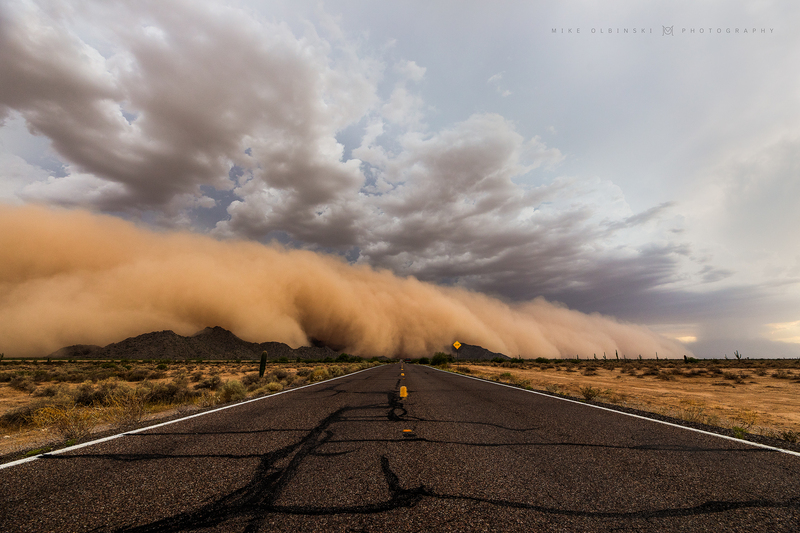 Year after year, Olbinski has released a time-lapse film series called ‘Monsoon’, which covers his spring and summer storm chasing adventures through Arizona, the American Southwest, and beyond. But this year, Olbinski had other plans. 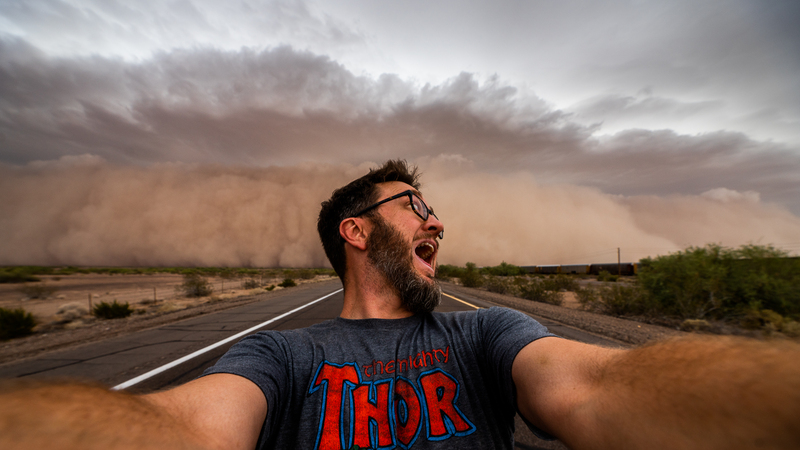 My original plan this past summer was to collect as much footage as normal, but to not put out a “Monsoon V” until 2019 when I had two years worth of crazy haboobs and lightning to make it truly spectacular. 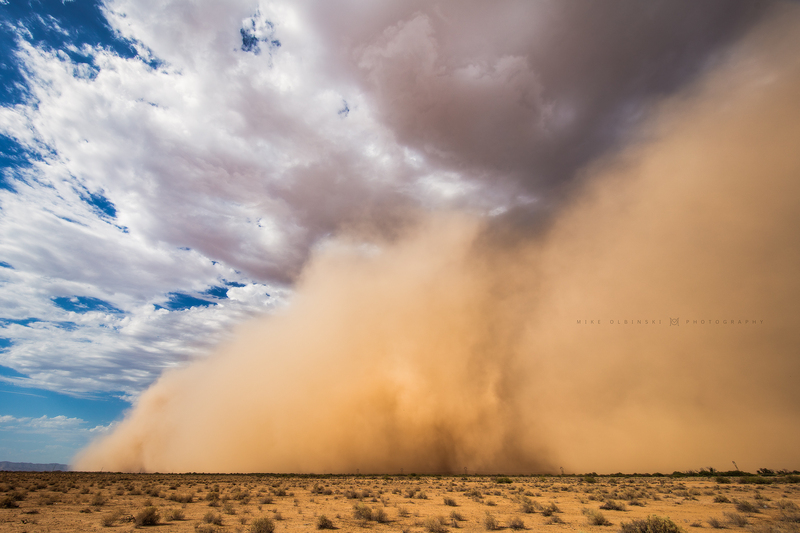 But the monsoon had different plans and put on a pretty dang good show in 2018, starting off with a decent dust storm on July 5th, then the best haboob chase I’ve ever had on July 9th, an epic green hail core on July 11th and finally another fantastic dust storm day on August 2nd. 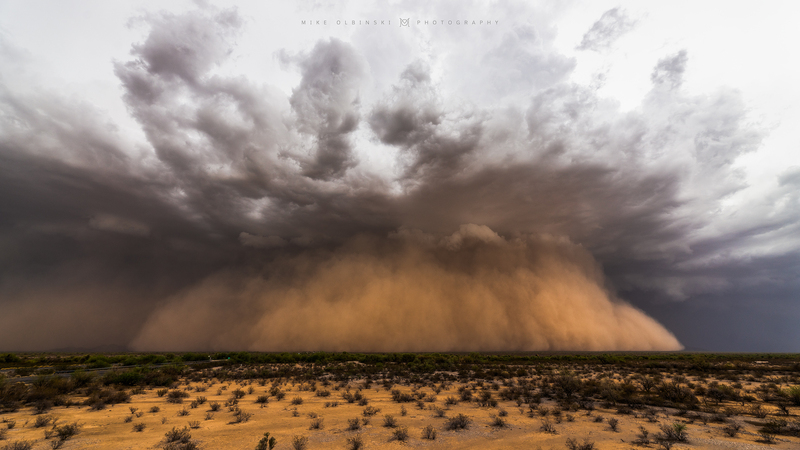 Sprinkled in there…more dust storm, some at night, spectacular lightning, and tons of microbursts and stormy clouds, plus a few rotating supercells to put some icing on the cake. 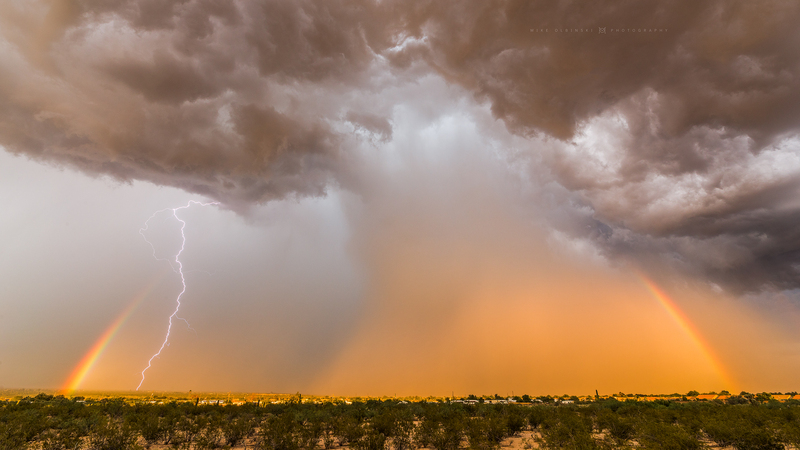 It was one of the best monsoon seasons I’ve chased, so I couldn’t help but get to work on Monsoon V after just one chasing season. Every season, Olbinski tells us that this season took him further from home and for longer than before, and this year was no different. 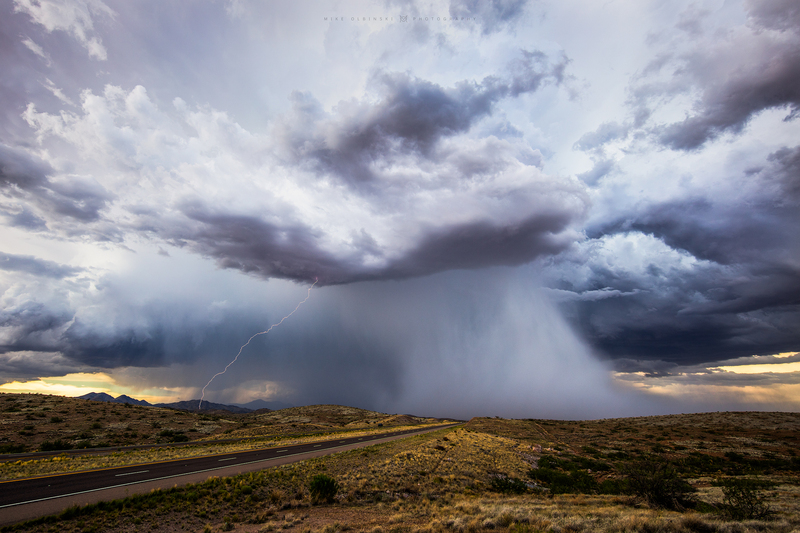 The storm obsessed photographer drove over 15,000 miles in 32 days, spread out over a three month period. 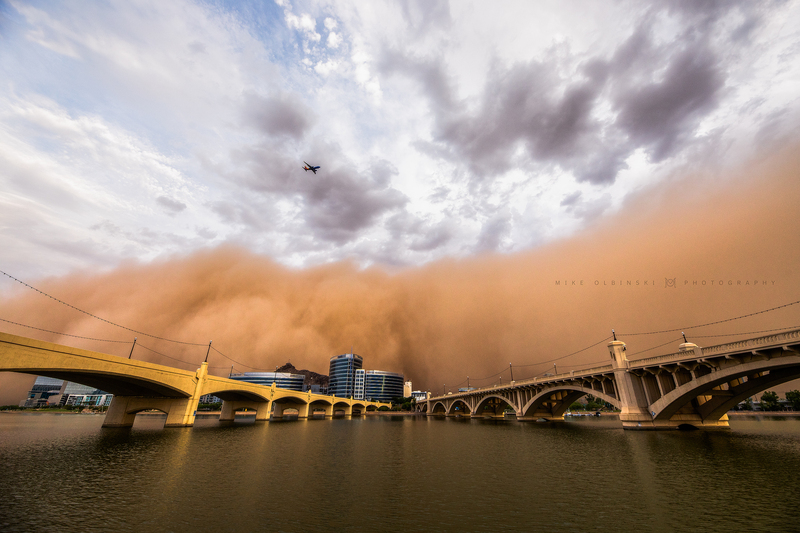 But with such an incredible monsoon season, what was the most memorable moments for the father of three? 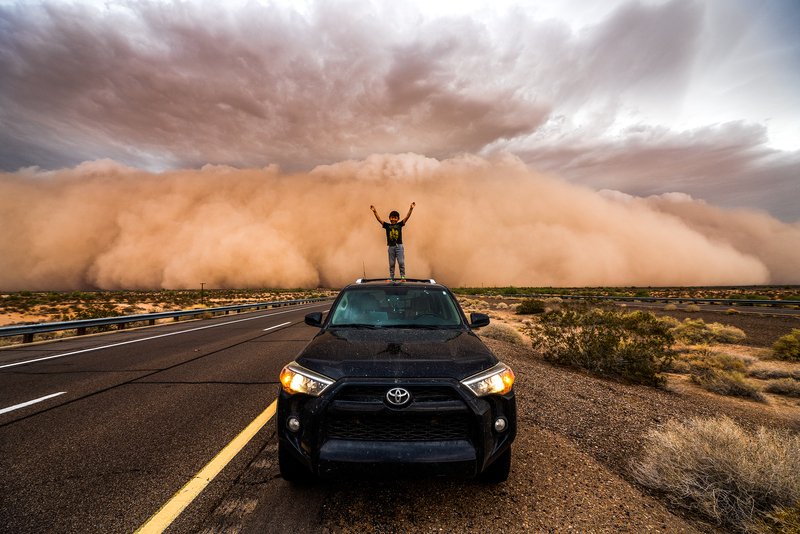 Being able to share his passion and some of the incredible moments with his children, including the July 9th haboob, which Olbinski says is the greatest he has ever witnessed. 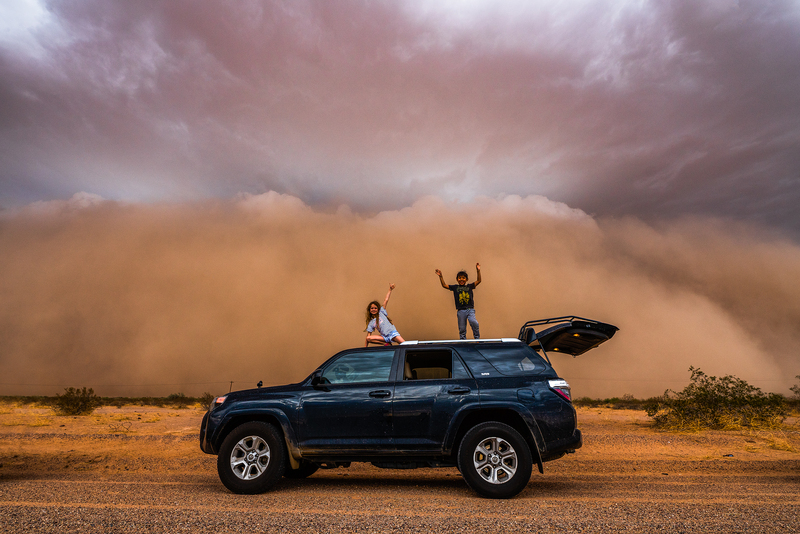 Once again, the sleepless nights, the fast food diet, and the time away from his family were difficult on Olbinski, but luckily his wife Jina is fully supportive of his wild storm chasing addiction and her endless help and support make these films possible. 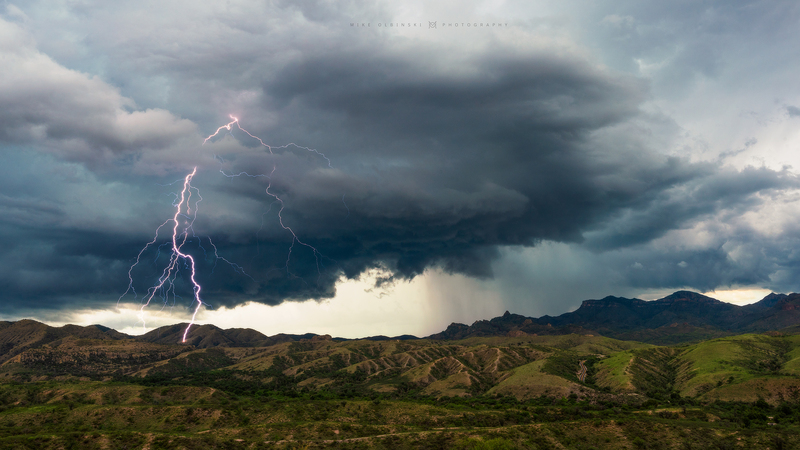 And as another monsoon season approaches us next spring, us viewers can only hope that Olbinski doesn’t toy with the idea of waiting two years before showing us Monsoon VI. We don’t think we can wait that long. 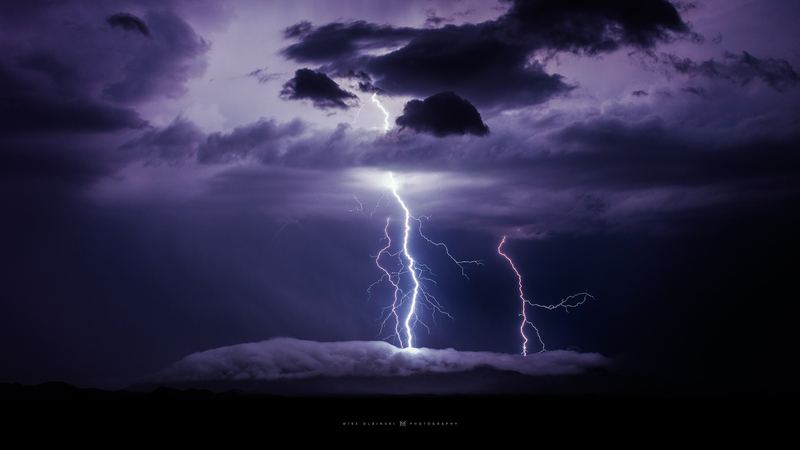 See more from Olbinski on his website, Facebook, and Instagram. 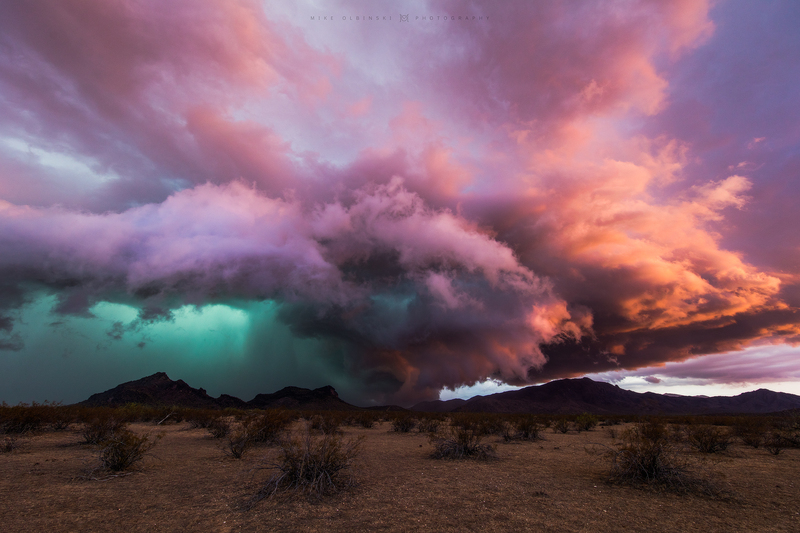 An unexpected sight in Arizona…a monster green hail core on a storm that looks more like it belongs on the central plains of the United States than it does out in the deserts. 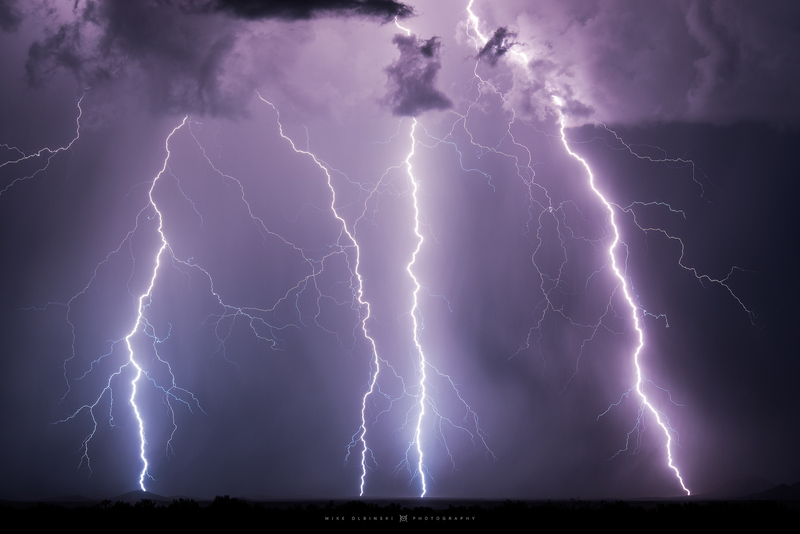 Two bolts slam into the ground near Bowie, Arizona, absolutely dwarfing the Chiricahau Mountians. 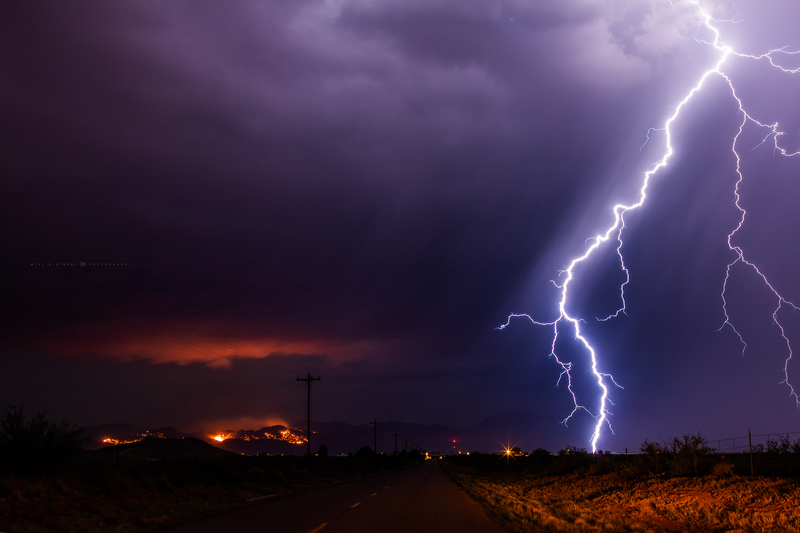 A lightning caused wildfire continues to burn as a thunderstorm moves towards it. 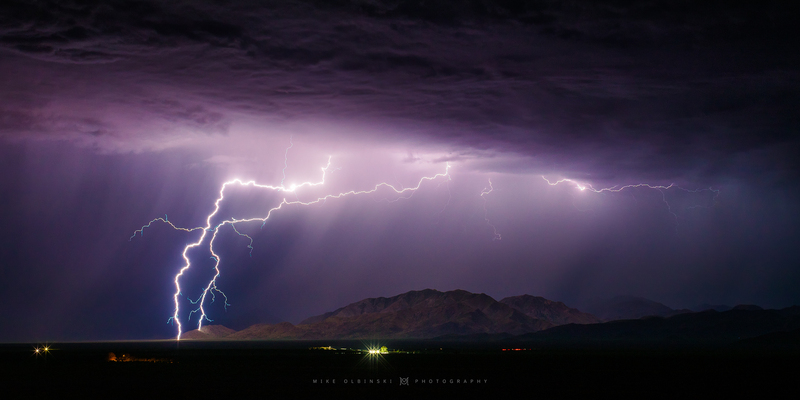 A gorgeous rainbow and downdraft move over Marana, with lightning flashing in the middle of it. 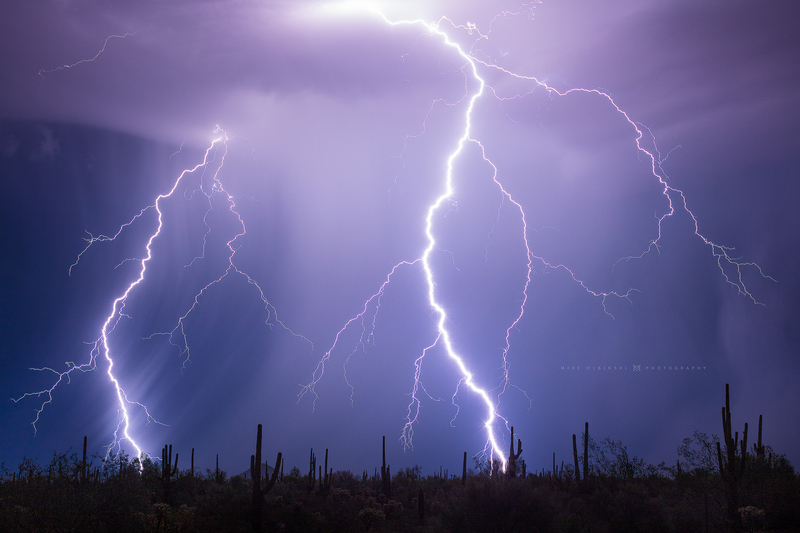 Stoic saguaro watch as lightning blasts the landscape around them. 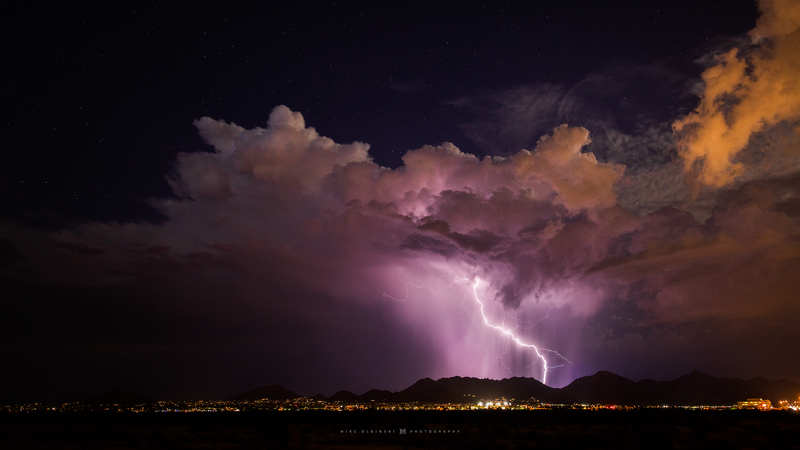 A beautiful thunderstorm on the east side of the McDowell Mountains. 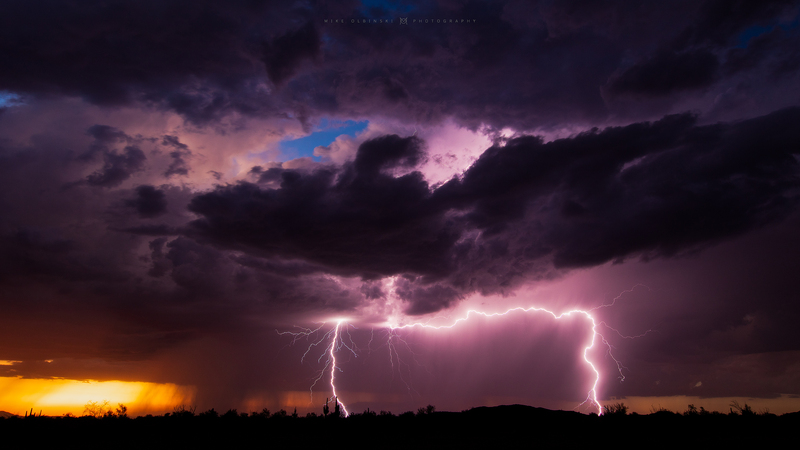 A stunning sunset storm out in Vicksburg, Arizona lasted for almost two hours.